Last month, the majority of full-time virtual public schools supported by Connections Education opened enrollment for the 2016-17 school year. There is plenty of time for families considering virtual school to explore their options and decide if online school is a good fit for their child. I make this statement however, with the knowledge that a large number of families wait until August and sometimes September to request information and then enroll quickly; only days before school starts or even after day one. Of course it’s possible that these families have done their homework and are making educated choices. But our research shows that many families make the decision to switch to online school in just a 48-hour period without a full understanding about how virtual school works. There will be always situations where parents need to remove their child from their current school quickly, and I am happy that the schools we support are there for them. But for the families who are not in a crisis, I encourage them to take time to learn about the online school environment. 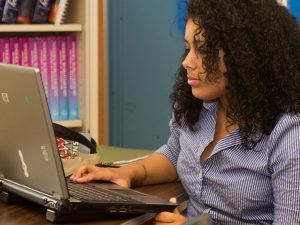 We want students to be successful, and preparation for virtual school is part of that equation. The schools supported by Connections host information sessions both in-person and online—there are opportunities to talk to other enrolled parents, video tutorials and numerous resources like our blog – all to help families prepare for virtual school. In fact, last week’s blog post was about the five things parents wish they knew when they were considering online school; based on a poll of enrolled families—reading this piece is a great first step to learning about online school. The public schools we support are open to any student who meets the state’s enrollment requirements and once a student comes to a Connections-supported school, teachers and staff do everything they can to help students succeed. But I’ve heard some critics suggest that virtual schools intentionally “target” families who may not be suited to attend online school. Let me set the record straight for Connections Education. Beyond it being false, such an approach benefits no one –not the student, not the parent, the schools, or Connections Education. We want families to make the right decision for their child. Researching virtual school before enrolling is ideal and we are committed to providing meaningful resources to help families make informed decisions about their child’s education. Studying Abroad Changes Your Life!